Donald McGavran coached George Patterson who coached Jay who coaches national coaches, jump-starting rapidly-spreading movements in S.E. Asia. 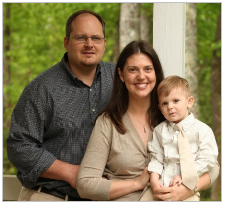 Jay and Anna have also been working in genuine, urgent relief and development, while promoting local, vernacular Bible translations, for 10 years under hostile political regimes, in ways that multiply home-based churches. You have heard in recent world news, about these communities they work in. “We have seen seven breakthroughs that resulted in some 10,500 baptisms. Half of those occurred in 2011. Churches have multiplied to 840 cells and congregations in eight unreached ethnic groups, across 10 out of the 14 states of this military, Socialist regime the size of Texas. We now have house church leaders from Buddhist, Hindu, Muslim, and even Jewish Backgrounds. The majority of these believers heard the gospel for the first time right after house-church leaders delivered disaster relief aid to their areas. “Buddha could not get Muslims together over dinner, and Mohammad could not sit down with Hindus for coffee. Only the Rabbi born in Bethlehem could do so. I have pictures of Buddhist-background believers sharing with their Muslim neighbors. You should see the look on the faces of the Muslims when their idol-worshipping neighbors put down their golden images and start talking about the Creator of the Universe and His Forgiveness through His son, Jesus. “This seems impossible when you watch world news. It is truly amazing for us to see folk from these backgrounds join the angels’ song: Glory to God in the Highest, good will and peace to men” (Luke 2:13-14). Let Jay ask questions and listen to your answers. Together, you will gain insight, skill and resolve that God honors in bringing the unreached into obedience to his Messiah, Jesus.